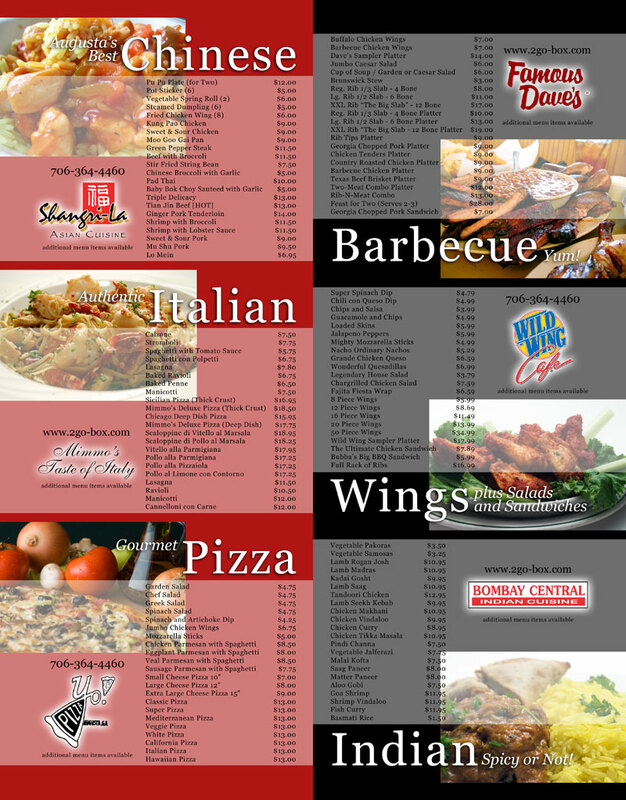 This double-sided print flyer was designed in 2006. 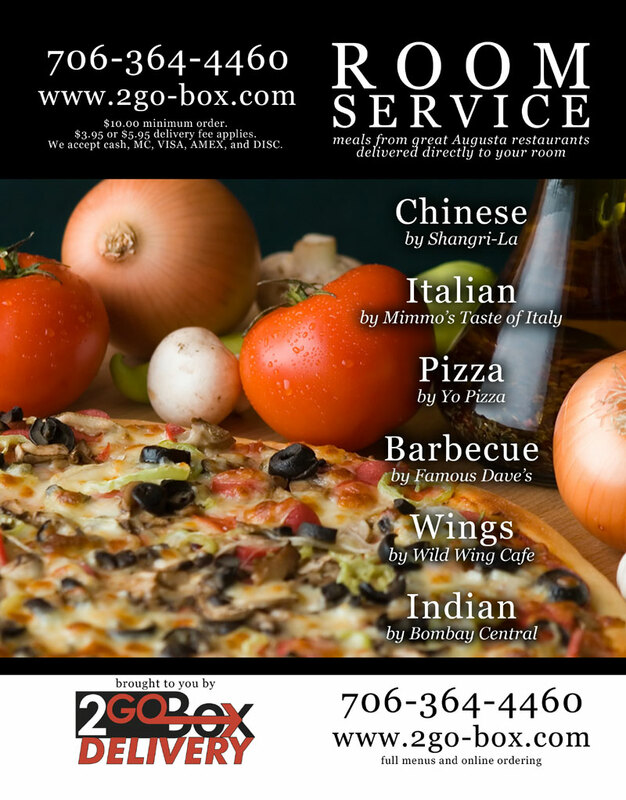 The flyers were placed in guest rooms in 2go-Box partner hotels across the Augusta area. Food shots were provided by the restaurants or purchased from iStockPhoto.com.